Spartanburg County wins the 2005 Cyder Cup! The 2005 Cyder Cup came down to the final 12 singles matches. The teams were tied at 6 points each headed into Sunday's matches. Spartanburg won 6 of the 12 matches and won their first Cyder Cup by the final of 14-10. Greenville which only needed 6 points to retain the Cup was unable to hold off Spartanburg. 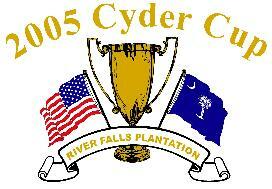 The second annual Cyder Cup Matches will be played this weekend at River Falls Plantation. The annual event, which benefits The First Tee Junior Golf programs in Greenville & Spartanburg County, has become a coveted place to be for the top golfers in the counties. 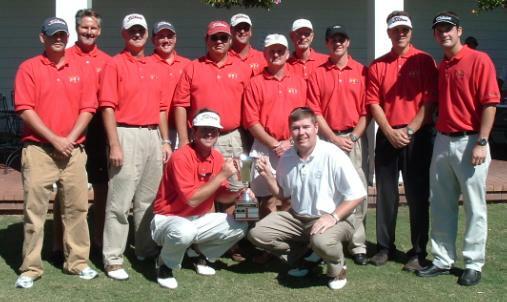 Last year, the Greenville County team came back from a Saturday deficit to win 13-11 in the Ryder Cup format. 36 holes of doubles will be played on Saturday, the morning round being best ball, and the afternoon a modified alternate shot. On Sunday, 12 singles matches will ultimately decide the Cup. Come out & watch some great golf at River Falls as the 2005 Cyder Cup will decide once again which county rules the Upstate!! Last Year's Final Results.......Click Here! PAIRINGS FOR THE FIRST DAY OF THE CYDER CUP ARE SET. GOOD LUCK TO EVERYONE. PAIRINGS FOR SUNDAY, 10-16, WILL BE MADE IMMEDIALTELY FOLLOWING PLAY ON SATURDAY. 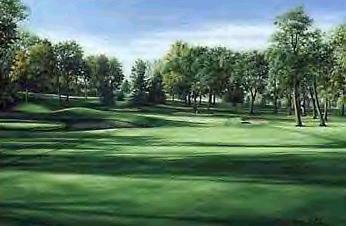 PLAY WILL BEGIN SUNDAY AT 7:54 A.M. WITH 12 SINGLES MATCHES, PLAYING IN TWOSOMES.